Dr. Hayk Shoukourian received his M.Sc. and PhD in Computer Science from Technical University of Munich in 2012 and 2015 correspondingly. He joined Leibniz Supercomputing Centre (LRZ) in 2012 and his R&D activities mainly involve efficient energy/power consumption management of the HPC data centers. In his current role, Dr. Shoukourian is responsible for adaptive modelling of interoperability between the target HPC systems and the building infrastructure of the supercomputing site. He is also a team leader for PRACE (Partnership for Advanced Computing in Europe) work package on "HPC Commissioning and Prototyping". 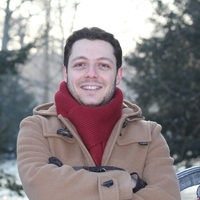 Hayk Shoukourian is a member of the Institute of Electrical and Electronics Engineers (IEEE), German Informatics Society (Gesellschaft für Informatik), and Energy Efficient High-Performance Computing Working Group (EEHPC WG). He serves on Program Committees of several international conferences including SCS High-Performance Computing Symposium and IEEE-ACM High-Performance Computing & Simulation.